In case you haven’t heard, both the Infocomm Development Authority (IDA) and the Media Development Authority (MDA) no longer exist. In their place comes the Info-Communications Media Development Authority (IMDA). The new buzzword that is being thrown around now is Info-Communications Media (ICM), and with the formation of the IMDA, this new institution is created to capitalise on this new hybrid environment and at the same time, create new opportunities for Singaporeans. We were there at Infinite Studios when the curtains were raised for the official unveiling of the IMDA by Dr Yaacob Ibrahim, Minister for Communications and Information, where he addressed invited guests on this exciting new institution. Here’s a recap on the key points which were laid out in his speech. ICM wasn’t the only word that was repeatedly mentioned throughout the night; there was another – convergence. IMDA was born out of the fact that Info-communications and Media can no longer live as separate entities independent of one another. Giving examples such as the rise of the many social media platforms which have enabled just about anyone to do live broadcasts, as well as the impact of Pokémon GO, convergence is already happening around us. Starting with IMDA’s 2025 masterplan, they will be focusing on guiding Singaporeans into a digital future where the way we live, work, and play will be changed due to the convergence of ICM and technology. The first order of business of IMDA is to develop a strong ICM sector that is able to power our economy. We can all agree that disruption is real, and the traditional economy will suffer if it does not keep up with the constant changes on a global scale. 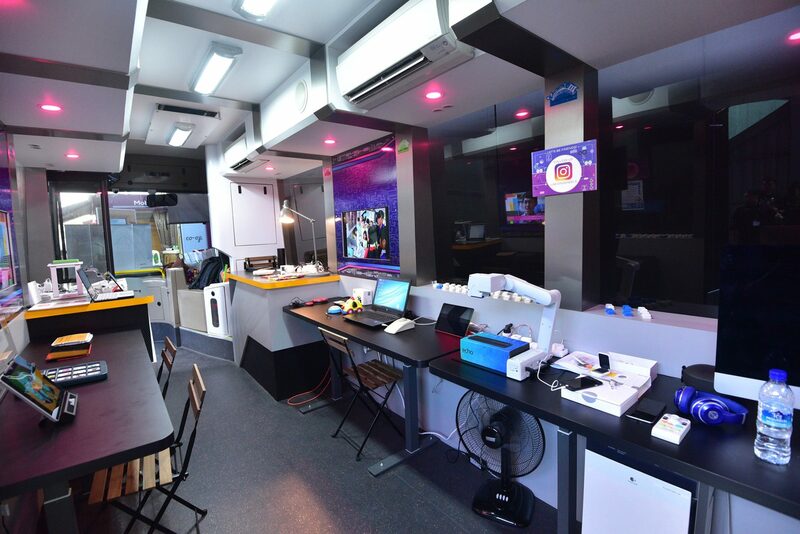 So, in order to build a solid ICM ecosystem in Singapore with a wealth of talent and businesses, IMDA has initiatives in place to empower workers at all levels. From the fresh graduate, to the mid-career switcher, the path to obtaining relevant ICM skills are made easier through programs such as the Techskills Accelerator (TeSA), where upon completion, may help workers advance their careers. Perhaps the most important reason for the existence of IMDA is that it does not only serve the ICM community. Other sectors which can benefit from the use of ICM will also get a helping hand from the IMDA. Whether it is urban logistics, retail in shopping malls, landscaping, or even healthcare, as long as ICM can be involved. In the journey to building a conducive ICM environment for businesses and consumer trust, in both personal data protection and making sure common values are upheld, regulations will be needed. Along with clear and streamlined regulations that businesses can look forward to, IMDA will also revise content regulations in order to accommodate changing social norms and technologies. Legislation such as the Telecommunications Act and Films Act will be given revisions, as part of a move to harmonise regulations and licensing requirements. Of course, IMDA will not just be doing the policing, they are also out to become partners to businesses, to build proactive relationships through innovation and entrepreneurship. As much as the different industry sectors will get a boost due to ICM, everything will be moot if the everyday Singaporean does not benefit from these advances in technology. 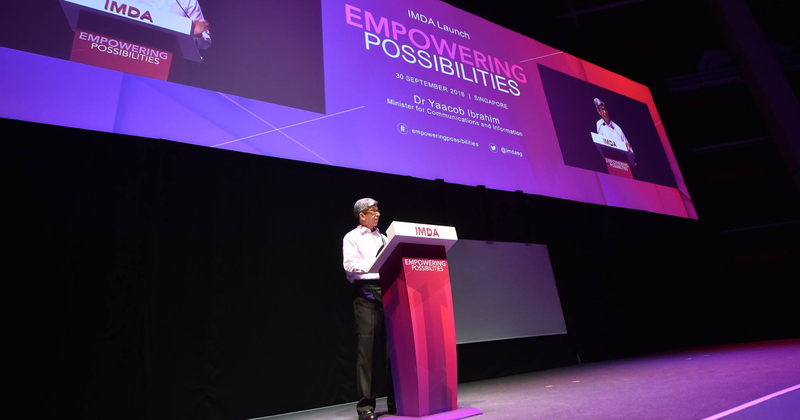 Dr Yaacob Ibrahim has come out to say that the measure of success for IMDA is how it has impacted and empowered possibilities for all Singaporeans. He gives two examples of inspirational Singaporeans who have benefited from IMDA’s Digital Inclusion Program: Ms Chua Hen Chen and Ms Chua Lan Hoon. Ms Chua Hen Chen, diagnosed with cerebral palsy, was provided assistive technology which helps her beyond just everyday communications, and has even helped her lead an active lifestyle. Ms Chua Lan Hoon, on the other hand, has been unemployed for two years due to mobility difficulties due to her health. Through IMDA’s Home Access Program, low income households like Ms Chua’s are provided with a tablet and subsidised fibre broadband to enable her to stay connected with friends and family. Beyond what was highlighted at the launch, more has been planned. 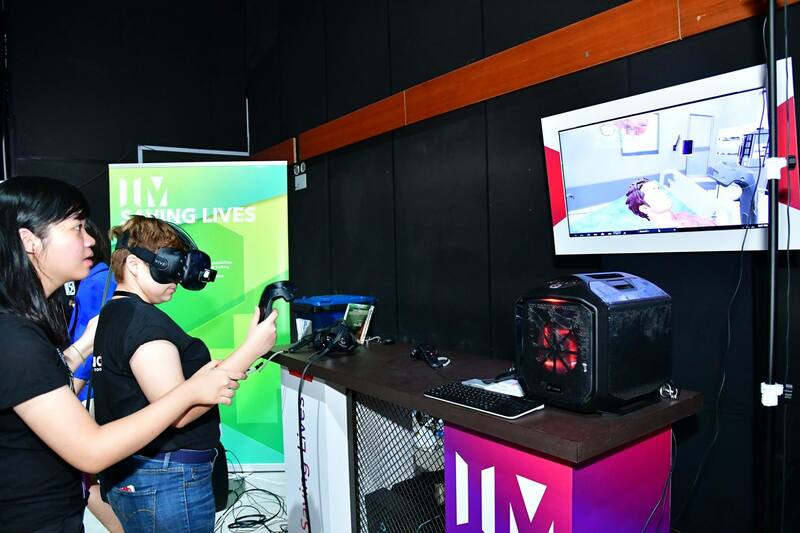 Virtual Reality (VR) will take centre stage in schools soon, where students will be able to go on field trips around Singapore by simply putting on a VR headset. VR has also been earmarked to be more inclusive in healthcare, where medical trainees can put in more training hours for tasks like surgeries without the use of more expensive physical methods which utilise cadavers and mannequins. 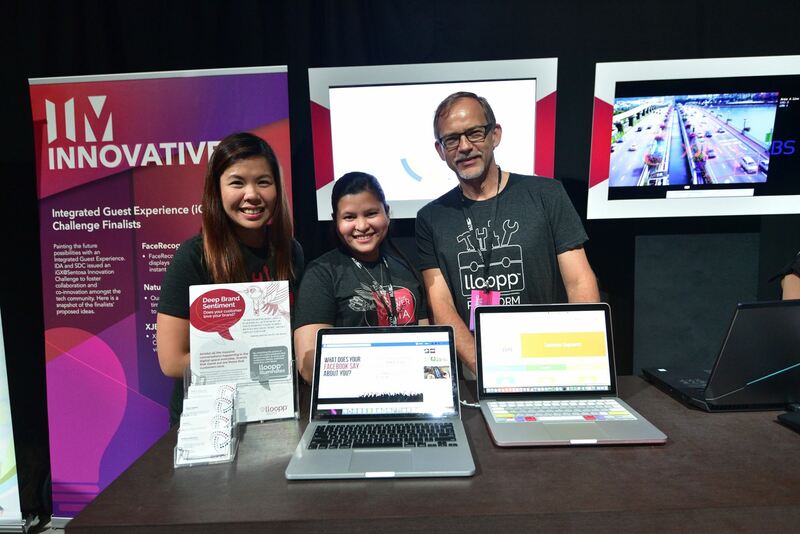 We are definitely at exciting crossroads where tech and media is converging into something that ICM professionals and Singaporeans can look forward to!